Why is Everyone So Obsessed With Avocados? Avocado: you can eat it, drink it, put it on your face and in your hair! If there’s one fruit that has truly earned its ‘super-fruit’ title, it’s avocado. Want to know why everyone is so obsessed with this fruit? Here are seven reasons that prove avocados are the real superheroes of the food world… ‘Avo’ good day! Would you believe us if we said that not all fats are bad for you? 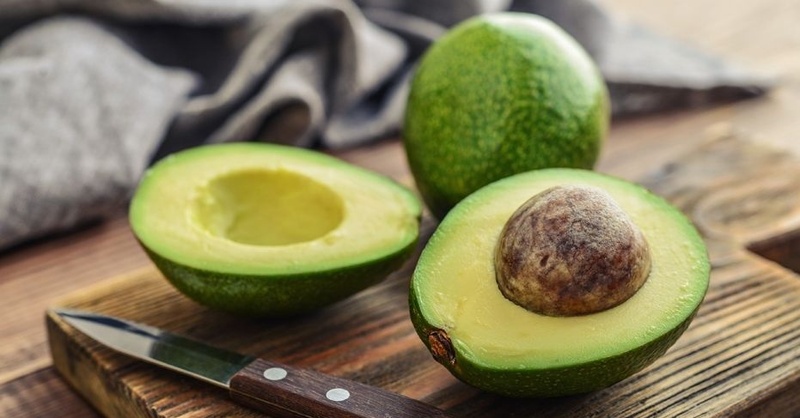 While avocados do have more fat than other fruits, this monounsaturated fat (in simpler terms “healthy fat”) is actually good for your heart as it helps reduce bad cholesterol levels in your blood. 2. Is avocado oil the new coconut oil? You’ve probably seen endless snaps of avocado toast flooding your Insta feed – but why is everyone obsessing over this breakfast dish? Rather than coat your toast with unhealthy spreads like butter or mayo, swap it for an avocado spread instead and benefit from over 20 nutrients! 4. Forget facials… it’s all about avocado mash-ups! Forget facials; avocados contain plenty of health benefits for your skin! When a food is good for your body both inside and out, that’s when you know it’s really ‘super’. From moisturising to anti-aging elements, avocados can really work wonders on your skin – especially when mixed together with honey and yogurt! For more awesome DIY remedies, check out these hair and skin hacks using foods from your kitchen! Ever met anyone that doesn’t like a freshly-made bowl of guac? If so, you should unfriend them… instantly! You can never go wrong with guacamole, especially when it’s made right! Fun fact: it’s actually the lime and lemon juice’s acidity that stops your guac from turning brown quickly, not the seed! Sick of snacking on beans and nuts to get your fibre fix? Well, you’ll be happy to know that there are 10 grams of fibre in a medium-sized avocado. This amount of fibre not only speeds up your digestion, it also leaves your appetite feeling full and satisfied! Next time you’re in the kitchen baking away, try throwing some avocados into the mix. A healthier alternative to butters and oils, avocados can be a healthy-yet-tasty substitute in many baking recipes such as cookies, banana bread, brownies and more! Avocados… you’re everything we AVO wanted! next5 of the Best Biryanis in New Dubai - Ranked!